Posted October 5, 2010 in Emerson Murray, Fantastic Four. 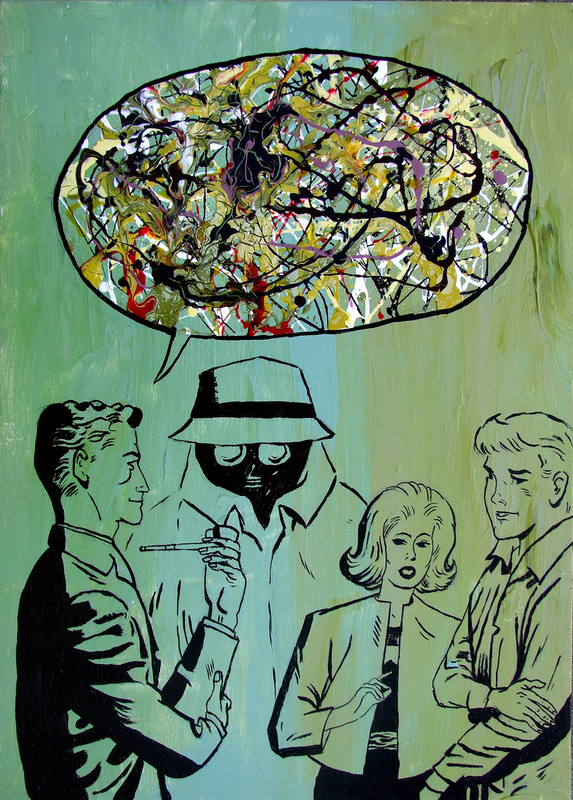 Never mind the Pollock’s here Emerson Murray with Reed Recalls, a rendition in acrylic on canvas of a panel from Fantastic Four #1. You can find more of Emerson’s comic inspired art at his website and Flickr page. Original art by Jack Kirby and George Klien.